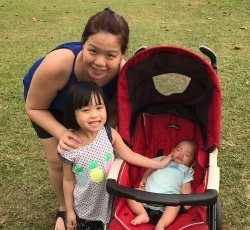 I first started this blog to document my pregnancy journey back in 2012 when hubby and I found out that we were expecting our first bundle of joy. From then on, this blog has been the go-to outlet for me to document my thoughts on all things parenting and to share the findings of issues related to pregnancy, parenting and raising children. Now that we have added a new family member to our brood (we welcomed Baby Callum in 2017! ), there will be a new set of challenges as we take on the role of being parents to two kids in sunny Singapore. Feel free to drop me a line by commenting on my posts, or emailing me at toolittleones@gmail.com.